Today’s guest post comes from my friend Guy, who has a pretty good grasp of how our food tastes overlap. Thanks, Guy! I may not want to eat it, but I will admit that is a nice looking pie. Corinne and I agree on approximately 1% of the recipes we make, and usually those are the ones with kimchi in them. 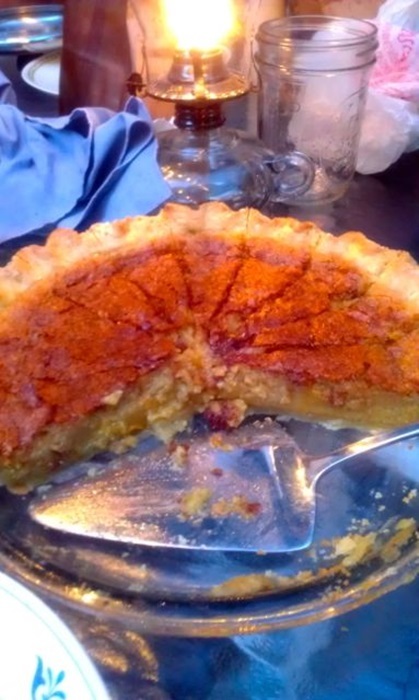 I’m pretty sure that a whiskey-ginger (grapefruit) pie is one of those things that would make her go “blechhh,” but for me it was maybe the perfect pie. Intensely gingery, a little bit too boozy, and with just a hint of grapefruit to add some surprise (because I couldn’t find any lemons in my house for some reason). I made a peach-blueberry pie the day before, and did some questionable math in preparation that wound up with me having two extra piecrusts on hand. 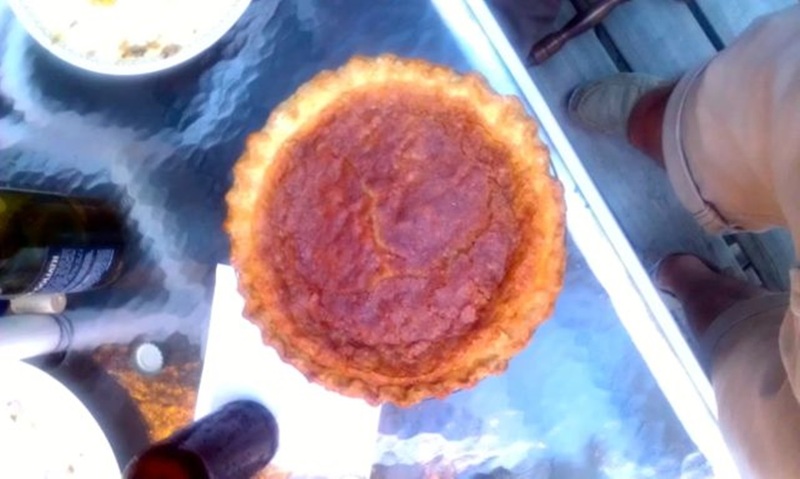 I did some Facebook surveying to try to figure out what kind of pie to make with them, and my friend Malissa suggested I finally try the ginger pie from Harold and Maude that we’ve both been dreaming about for years. Mal sent me this recipe. 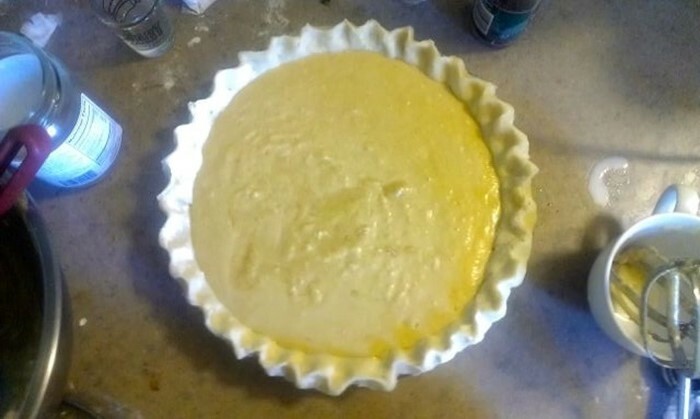 The crust I had lying around was based on Smitten Kitchen’s all-butter pie crust recipe. It’s delicious and pretty simple, but feel free to use whatever recipe or store-bought piecrust you like. I liked the sound of Matthew’s recipe, and it certainly sounds like he put a lot of effort into it. But there were a few kinks to work out. For starters, he wants you to soak the ginger in rum for an hour to prepare it for the pie, which seems crazy to me. Everyone knows that whiskey and ginger go really well together, so I made that substitution and don’t regret it a bit. Matthew suggests using two and a half ounces of rum and a third of a cup of “young” ginger, but I have no idea what that means so I just used normal fresh ginger, and probably increased it to about a half cup for the sake of deliciousness. Also, I think I had an extra-big shot glass, so it turned into about four of whiskey. Nobody complained. I let those sit for about six hours while I did more important things, then I came back and preheated the oven to 350F, set up my pie crust, and started mixing together the other ingredients. 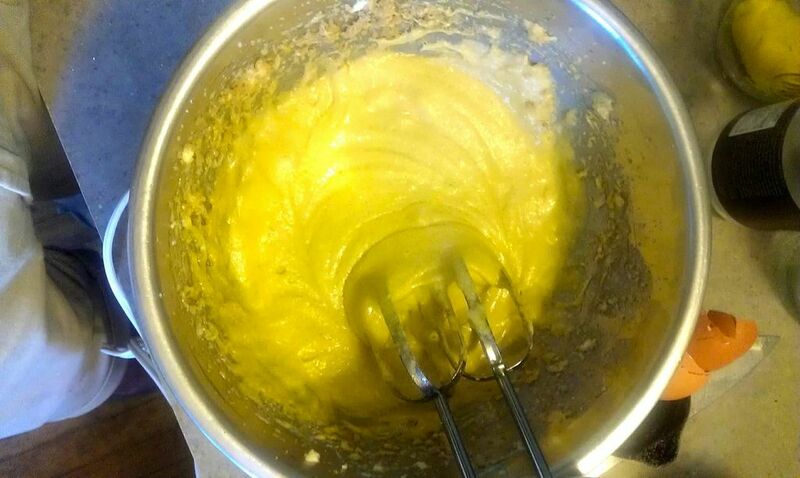 I creamed together a half cup of butter with a cup and a half of sugar. 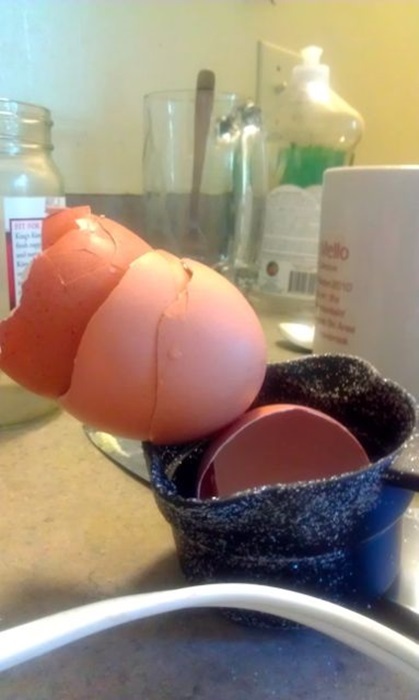 Then I added three eggs. Added 2 1/2 tablespoons all-purpose flour, a quarter cup of heavy cream, a couple teaspoons of vanilla extract, and a teaspoon of grapefruit zest because I couldn’t find a lemon. I’m not sure if it would have been better with lemon, but I liked the grapefruit flavor, a nice little bitter undertone. Then I added the whiskey/ginger mixture and poured it all into the pan and baked it for fifty minutes. Nothing went wrong! It came out totally pretty, like a pie that a real baker would bake! I’m used to crusts that fall off or burn to a crisp, so this was pretty exciting. I dished this thing out at a potluck, and got a lot of positive feedback. The one surprising thing was how very boozy it was—no use trying to pretend that stuff cooked out because it was definitely a whiskey pie. 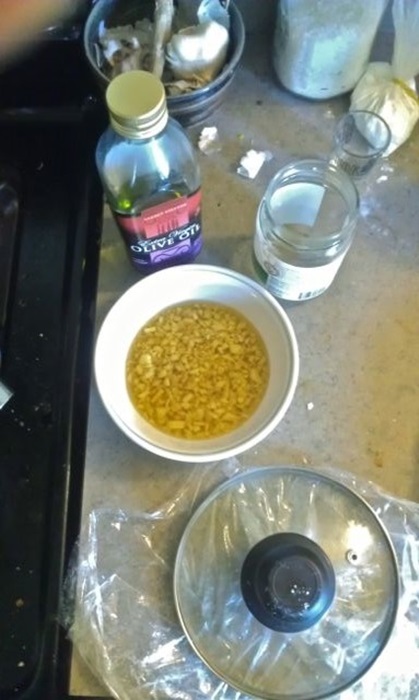 At least one hour before beginning, combine the ginger and whiskey in a small bowl or jar and set aside. 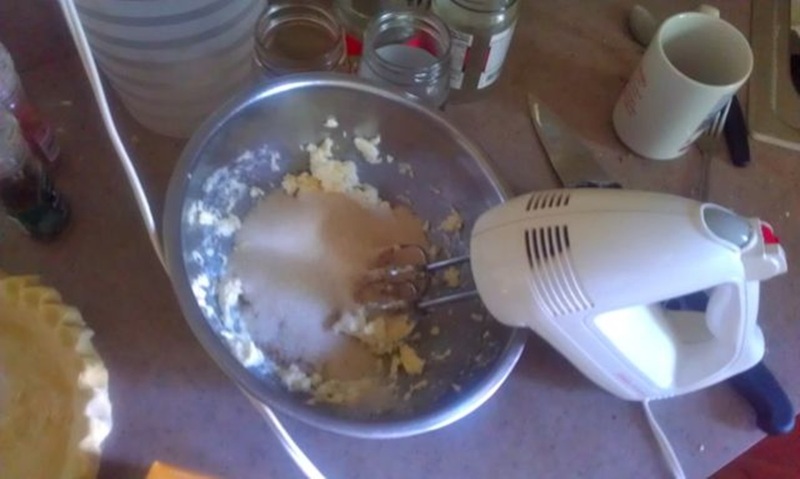 Cream the butter and sugar. Add eggs one at the time and mix after each addition. Add remaining ingredients, including the whiskey and ginger, and combine thoroughly. 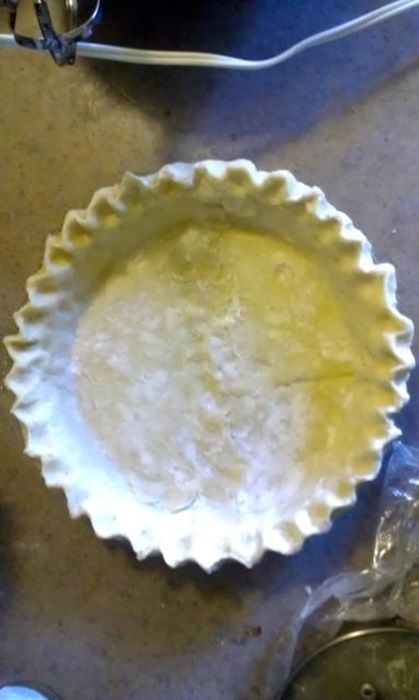 Pour the mixture into the unbaked pie crust and bake at 350F about 50 minutes, until the center has mostly set, but is still just a little wobbly – it will firm on standing. It should have a slightly darkened, crusty top. If necessary, cover the pan with a tented piece of aluminum foil or an overturned stainless steel bowl to prevent overbrowning while the pie bakes. 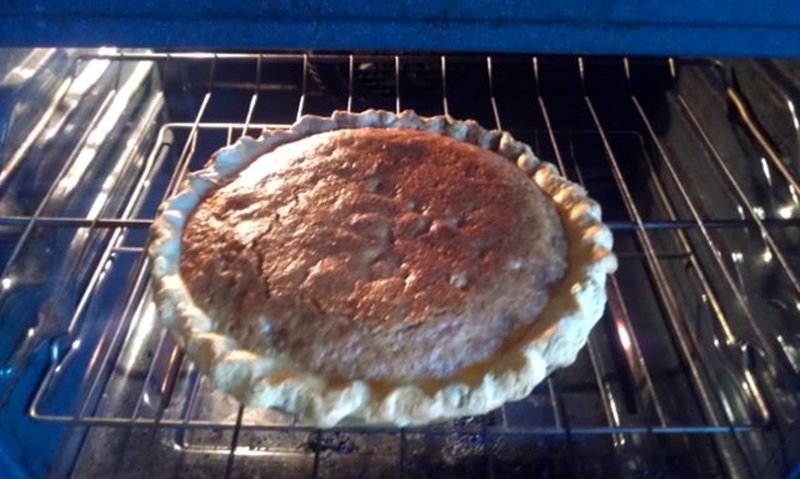 This entry was posted in Dessert and tagged ginger, Guest Post, Pie, whiskey. Bookmark the permalink.